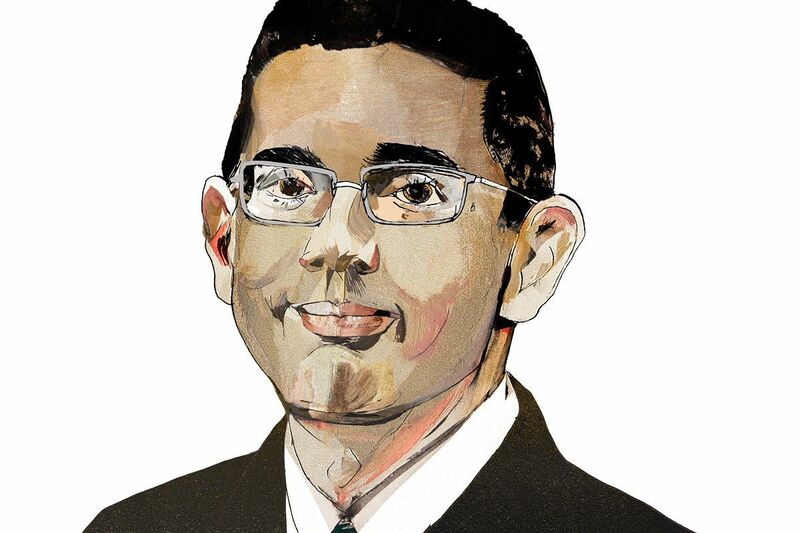 Long before he resigned the presidency of The King’s College, a small evangelical school in Manhattan, over his engagement to a 29-year-old woman while still married to his wife of 20 years, Dinesh D’Souza’s star in the conservative intellectual world had faded. Forsaken by the think tanks that groomed him, the precocious conservative scholar of the ’80s was hard to recognize in the bomb-throwing filmmaker of 2016: Obama’s America, which argues that Obama absorbed anticolonial hatred of America from his father. But almost from the moment D’Souza arrived on American shores from Mumbai in 1978, the firebrand lurked not far from the surface. He became “radicalized,” in his words, at Dartmouth College, where he believed his colleagues at the right-wing Dartmouth Review were harassed for their views on race, gender, and sexual orientation. The National Review and The Wall Street Journal editorial page praised the political stunts of D’Souza and his friends, catapulting them to national attention. But the mid-1990s brought Fox News and the culture wars, and D’Souza discovered an audience for popular polemical writing on moral issues and religion. He rapidly published a hagiographic biography of Ronald Reagan and a series of other books that rehashed—in some cases verbatim—his previous work. Despite his escalating hucksterism, and the fact that he had never obtained a graduate degree or published a scholarly article, he continued to hold posts at top conservative institutions. D’Souza’s relationship to the establishment right, however, could not survive his 2007 book, The Enemy at Home, which argued that Islamic terrorism was a justified response to American moral decadence. It was savaged by conservative critics; National Review writer Roger Kimball wrote, “The problem with The Enemy at Home is ... well, everything.” By the end of the year, D’Souza had resigned his post at the Hoover Institution. When he returned in 2010 with The Roots of Obama’s Rage, he was greeted as a laughingstock on the left and right alike. D’Souza’s exit from The King’s College will provoke plenty of schadenfreude in right-wing money circles, where his phoning-in of his professional posts has dented his reputation. The sordid circumstances of his departure may prevent him landing another prestigious perch. (His invitation to the Heritage Foundation’s donor convention was rescinded after the alleged affair broke.) But D’Souza’s excommunication isn’t likely to keep him down. Obama’s America is already the second most successful political documentary ever. D’Souza long ago cast his lot with political entertainment, and at the right-wing box office, a lack of scholarly qualifications may be the best qualification he could have.